Permanent smile…from ear to ear. 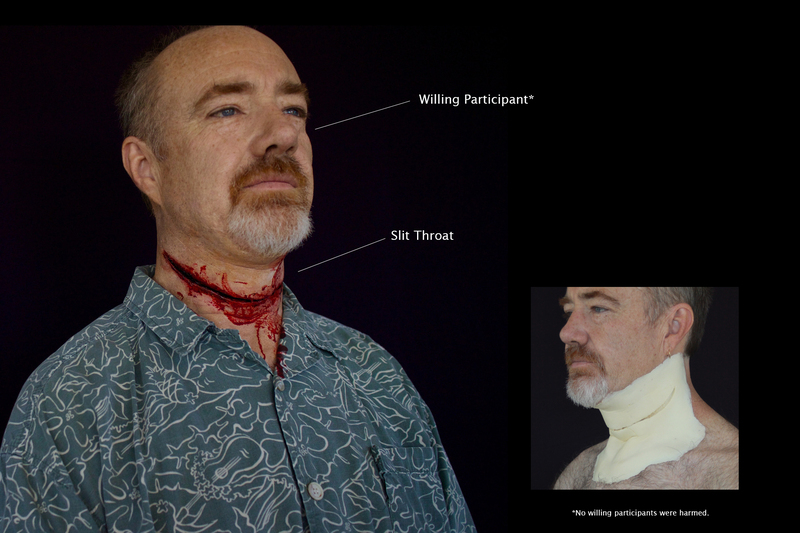 Silent, fast and very, very messy, the slit throat is used to intimidate and send a message. Our appliance sends this message loud and clear. Tip your head forward and it’s barely visible, tip it back and it pops open wide.